Film and Television Institute of India will be conducting an entrance test for FTII Admission 2020. The Institute offers admission to PG Diploma and Certificate Courses in Films and Television. The FTII provides specialization in Direction & Screenplay writing, Editing, Acting etc in PG Diploma and Certificate Courses in Films and Electronic Cinematography, Direction, Video Editing, etc in PG Certificate Course in Television for the academic session 2020. 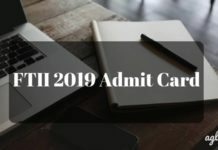 Interested aspirants can apply online for FTII Admission 2020 from the month of December 2019. Applicants need to provide their Personal Details, Academic Details, etc and upload photograph and signature in the online application form. The candidates who wish to appear for the entrance test need to download their admit card. Only by admit card, candidates will be informed about the timings and venue of the examination. The result for the various specialization courses at FTII will be uploaded online which will only consist of details of the candidates who will be shortlisted for the further admission process. Candidates can check more details about FTII Admission 2020 is given in the table below. 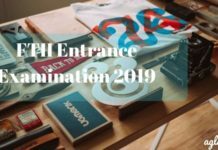 The applications for FTII Admission 2020 will be available through online mode only at ftiindia.com. The online application form is to be filled and submitted through online mode. Application submitted by any other mode will not be accepted. To fill in the details in the online application form, candidates need to register first. Fill in the required details, upload photograph, and signature and submit the application form. Make payment for the application fee by State Bank of Patiala (SBP) collect. Forms without application fees will not be accepted under any circumstances. Candidates must ensure that the application fees are paid on or before the due date and time. Each application must be must be accompanied by a non-refundable application fee. The FTII Admit Card will be issued by online mode only. No printed admit card will be sent to the candidate through the post. Candidates who want to appear for the entrance test can download the admit card by entering the email address. The admit card will contain the basic information about the exam such as date, timings, and venue. Along with the hard copy of the admit card, candidates need to bring a valid photo id proof at the examination center. The result for the FTII 2020 entrance exam will be uploaded through online mode. The result will consist of the seat numbers of only the shortlisted candidates in pdf format. Candidates need to obtain equal to or more than the cut off marks to qualify the written test. After the result is declared, candidates need to report at the specified venue for document verification, medical test, orientation, and interview. After the FTII Result 2020 is declared, selected candidates need to pay the admission fee at the specified time period to confirm their admission. The Film and Television Institute of India is the exam conducting authority which will declare the cut off for FTII 2020. As of for now, no such announcement is done. Interested candidates can check last year’s cut off for qualifying the examination and prepare accordingly. 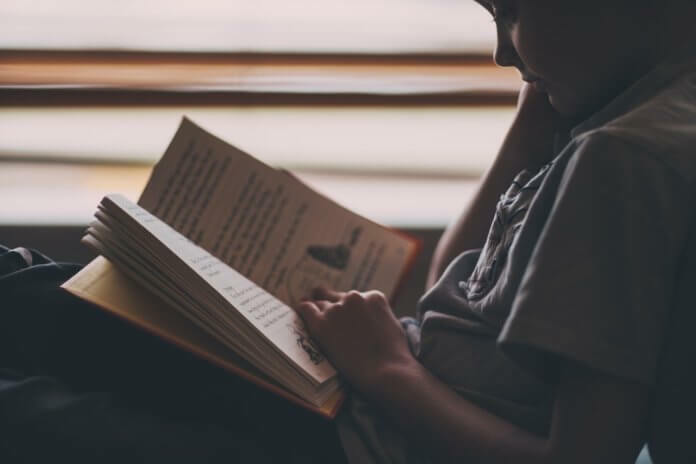 However, every candidate should have a goal to score more in the entrance test. 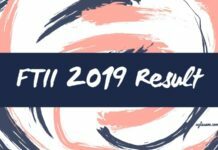 For more details of FTII Admission 2020 – Download previous year Information Brochure.